Are You Lifting Too Much Weight In The Gym? Today I have to get this off my chest because I don't want any of you guys to be like some of the guys I've seen at my gym. The guys who look brand spanking new to gym, barely look like they work out, and they're the ones who go and grab more weight than you do for an exercise. I've seen this a number of times at the gym so far, and now that the weather is getting better, I'm starting to see these "guys" more and more often. And after what happened to me yesterday I said "Enough is Enough". Yesterday, I was working on my "Pull" exercises as part of this strength training program I'm on, when this guy I've never seen before in the gym asks me to spot him. So of course I spot him on his exercise, which was Incline Dumb Bell Presses. Problem #1: When I went over to give this guy a hand, I saw he was about to do this exercise with 70lbs Dumbbells. Now I've been on a strength training program for the past 9 weeks or so and I "just" graduated to doing Incline DB Presses with 80 lbs Dumbbells. And this guy who looks like he barely works out, is about to do this with 70 lbs. That's a problem! Problem #2: He asked me to help him lift the weight off his chest on the VERY FIRST REP.
Ok, it's one thing to give someone a "lift", like helping them unrack the Barbell if they're doing Bench Presses. and then it's something completely different to have someone lift the weight off your chest because the weight is too heavy for you to do so under you own power. Problem #3: He was only going "half way" down. I imagine you guys can picture how this exercise is done. It's pretty simple, you bring the weight down to your chest and you push up. Since the weight was too heavy for the guy he was only able to go halfway down (if that) if he would have gone any further than there would have been an accident on our hands. Problem #4: I gave him some advice and he didn't take it. As helpful as I am, I'm somewhat reluctant to give advice to those who did not ask for it. Because in all honesty, most guys don't want to hear it. So, after his set I told him, "I think you're using too much weight for this exercise. You need to be able to go down all the way and feel a good stretch at the bottom" He looks at me and says "Ok, I think I'll try 60lbs next time". First off, I think 60lbs would still be to heavy for this guy and second, he didn't even drop the weight he went back and did his 70lbs "whatevers" because those definitely wasn't Incline DB Presses he was doing. Once I saw that he didn't take my advice, I told myself "That's the last time I spot that guy". And it's not to be mean or anything, hey it's a free country, if he wants to train improperly and waste his time at the gym so be it. But I refuse to let him waste my time as well. 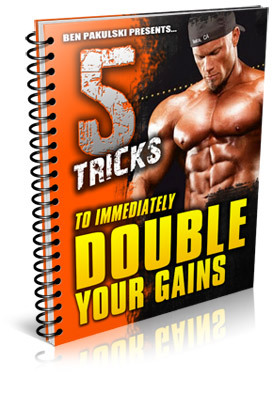 - If you need help lifting the weight from the starting position (i.e. off your chest) for the very first rep, then you're using too much weight. - FORM IS EVERYTHING, if you can't keep proper form then you're wasting your time and you seriously put yourself at risk of getting injured on certain exercises. Later on me and Jimmy will be posting some videos on how to do exercises with "proper form" so you guys know how to do these exercises with proper form and technique. Work out your body, NOT YOUR EGO! - This means PERFECT YOUR FORM FIRST, ADD WEIGHT LATER. I’d rather have perfect form and lift moderate weight on an exercise than lift a ludicrous amount of weight with terrible form. I'll admit it, I was on of these guys myself. And it's EXACTLY what Jimmy said, I was working out my Ego rather than my body. In my eyes I didn't want to look like a "weakling" in the gym. I had to learn some of my lessons the hard way, but it ultimately took getting advice from guys who had success building muscle and transforming their bodies to turn everything around for me. (Similar to what I'm doing with you guys right now). So if you're one of these guys (or think) you're one of these guys who are using too much weight in the gym..... STOP IT!!! You're only hurting yourself and killing your results in the long run. Ok, I'm through venting, thanks for listening guys. I hope you enjoyed today's lesson / rant. P.S. -Let me hear what you think! Leave me a comment below if you agree, disagree or know of guys who are using too much weight in the gym.